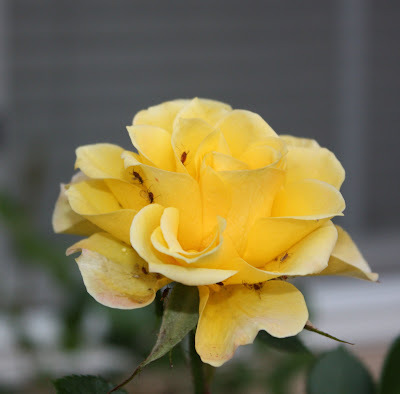 A mini rose in my front yard has become home to gnats or fruit flies. I can't tell which. I think they're hiding from the rain and cold.